‘Life’s what it is… It’s up to us to make it better.’ It may not be the most original of philosophies but it is a sufficiently strong perception to motivate 14-year-old Berry Benjamin and 16-year-old Elliott (Ell) Watts to find their way through a murky world which encompasses – among much else – mysterious parcels, Neo Nazi terrorists, falls from windows, hectic chases and powerful motor bicycles. These details make a significant contribution to a plot of considerable drama and excitement which stretches all the way from the Glastonbury Festival via the streets of San Francisco to the deserts of New Mexico. But much more interesting is the relationship between the two teenagers themselves, brought together by chance though sharing, for different reasons, a sense of being apart from societal norms and expectations. 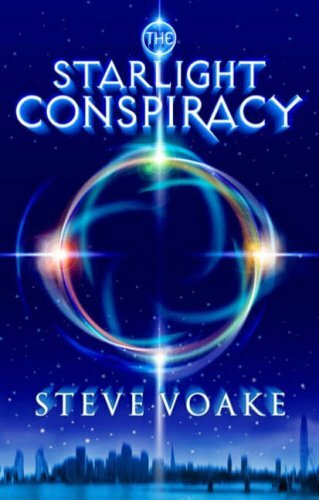 Voake effectively conveys the notion of an environment which, in Berry’s words, is ‘weird, scary and random’, and tracks his protagonists’ progress through it in a manner which should maintain the young reader’s interest, even if, in many instances, the credibility of events will be severely questioned.